Srdjan Jovanovic Weiss, model of exhibition, Anne Tyng: Inhabiting Geometry, 2010, Institute of Contemporary Art, Philadelphia. 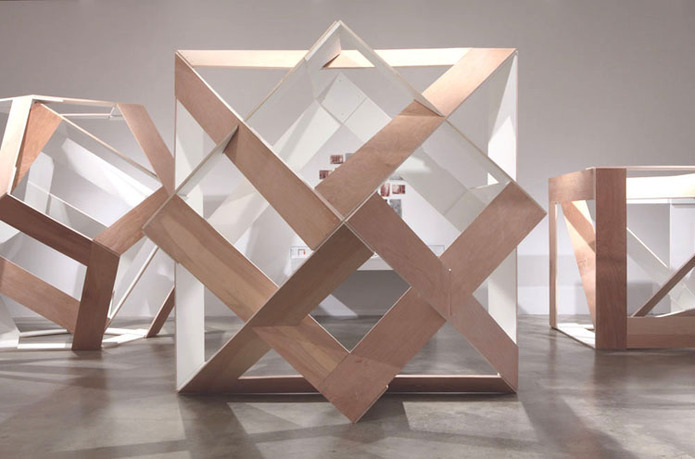 Visionary architect and theorist Anne Tyng has designed a gallery-scale model embodying her thinking about geometry over the last half century. 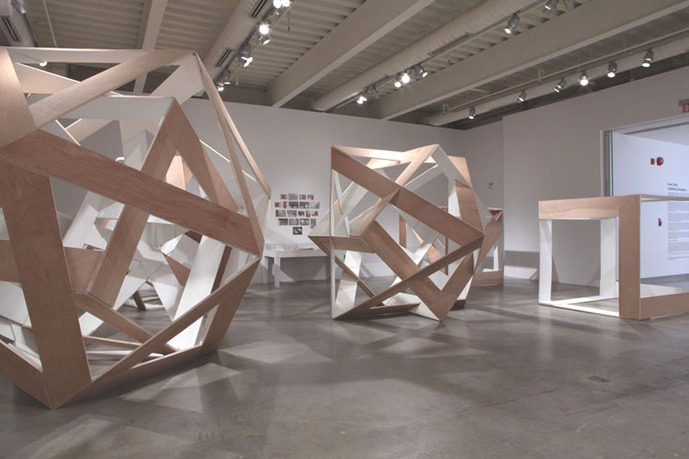 This installation—built largely from Luan plywood—realizes the ambition of all her work: to inhabit geometry. 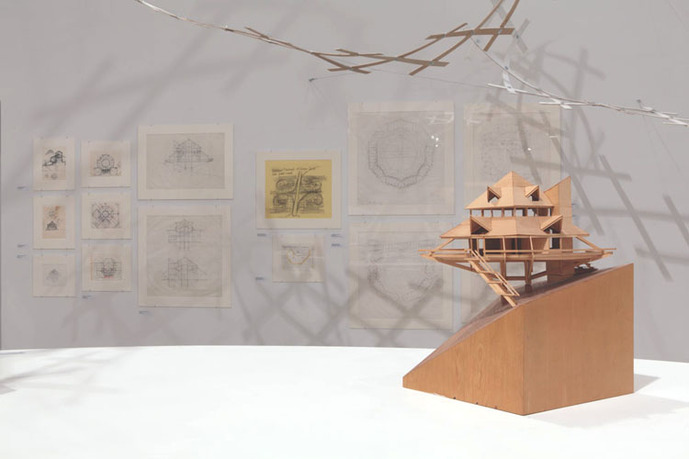 Since the 1950s, when she worked closely with Louis I. Kahn and independently pioneered habitable space-frame architecture, Tyng has applied natural and numeric systems to built forms on all scales, from urban plans to domestic spaces. 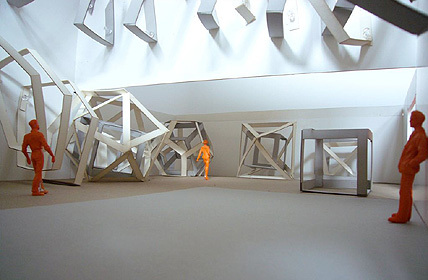 This project includes five human-scale Platonic solids; a massive spiral lifting from the wall, embodying Tyng's approach toward her own built forms; and a selection of drawings, models, and other documentation of past projects. There are also examples of Tyng's publications and research, which investigate Jungian cycles, city squares, and the cosmos. 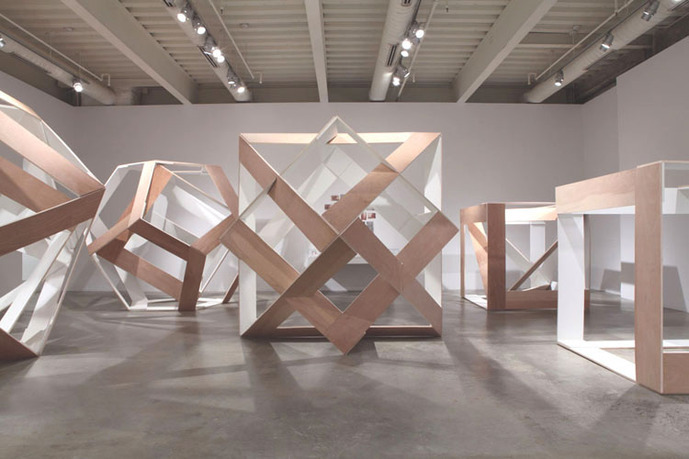 Throughout, geometry is both rational and expressive, as much a means of contemplation as of calculation and construction. 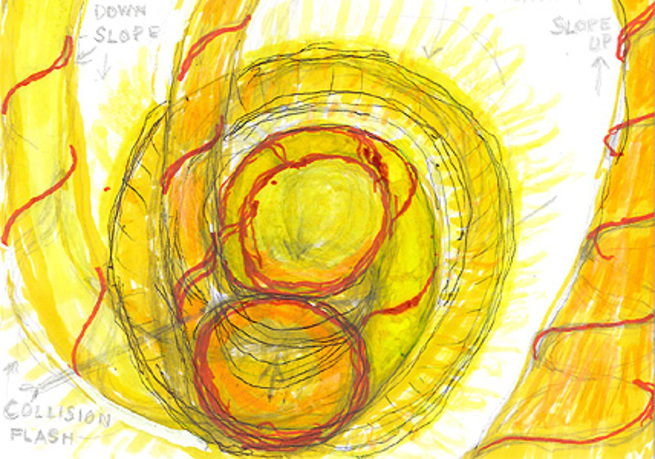 Srdjan Jovanović Weiss is an assistant professor at Tyler School of Art at Temple University. He holds a master;s degree from Harvard University where he studied with Rem Koolhaas, Jacques Herzog, and Richard Gluckman. He opened Normal Architecture Office (NAO) in 2003 and is the author of Almost Architecture, which explores architecture vis-à-vis emerging democratic processes. 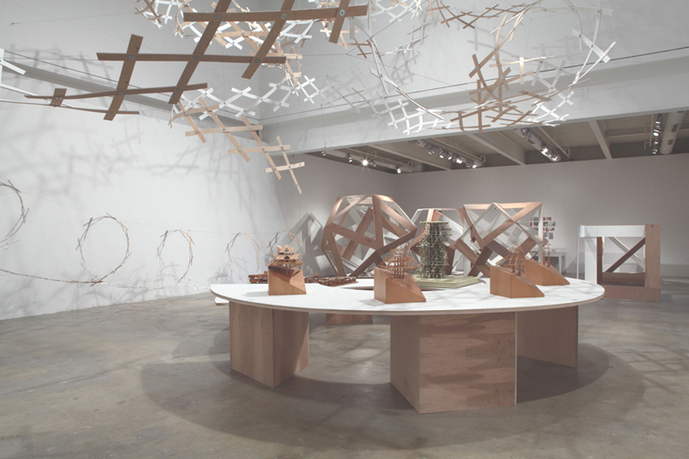 In 2006, Weiss collaborated with Yona Friedman for his design installation and exhibit at the Drawing Center in New York. He was selected by Herzog & de Meuron Architects and Ai Weiwei as one of 100 architects to design a house in Ordos, Mongolia. 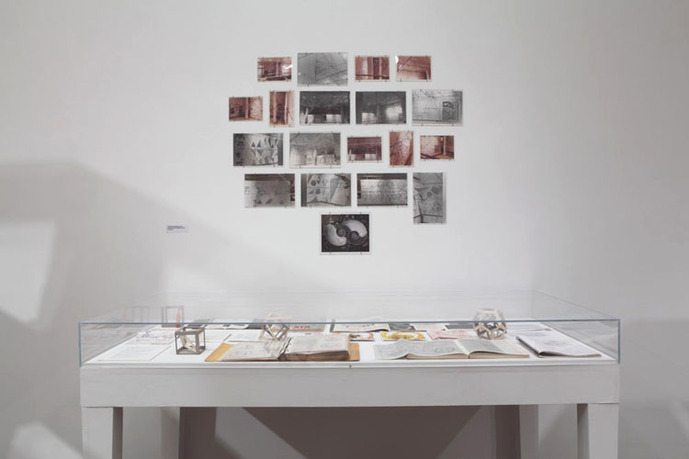 Ingrid Schaffner has been senior curator at the Institute of Contemporary Art since 2000. Her exhibitions include Maira Kalman: Various Illuminations (of a Crazy World) (winter 2010), the first major museum survey of the work of this illustrator, author, and designer; Dirt On Delight: Impulses That Form Clay (winter 2009, with Jenelle Porter), which won the award for Best Show in a University Gallery from AICA/USA; and Accumulated Vision: Barry Le Va (winter 2005). She has written extensively on twentieth-century art with numerous catalogue publications, reviews, and features, and is currently at work on a major exhibition of Jason Rhoades. Born in Jiangxi, China to missionary parents in 1920, Anne Tyng spent hours carving cities out of the soft stone of her garden terrace. After graduating from Radcliffe College in 1942, Tyng became one of the first women to receive an MArchfrom Harvard. 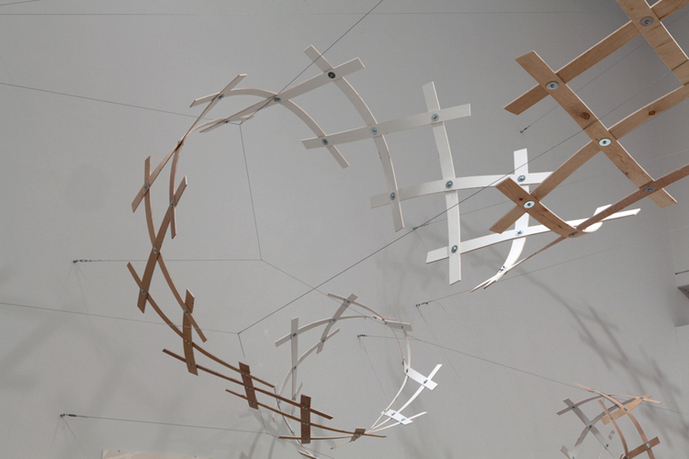 She gained early recognition for the Tyng Toy, a kit of wooden puzzle-like pieces from which children could build furniture and other things. Starting in 1947 she worked closely with Louis I. Kahn and was instrumental in the design of the Trenton Bath House and Yale University Art Gallery, among other projects. In 1965, she was the first woman to receive a grant from the Graham Foundation for Advancement in the Fine Arts. 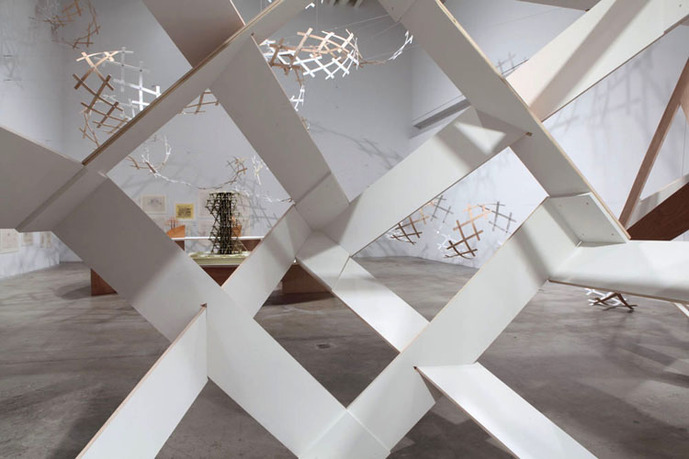 Tyng earned a doctorate in 1975 from the University of Pennsylvania, where she later taught for almost thirty years. William Whitaker is the curator and collections manager of the architectural archives of the University of Pennsylvania—one of the leading repositories of architectural records in the world. 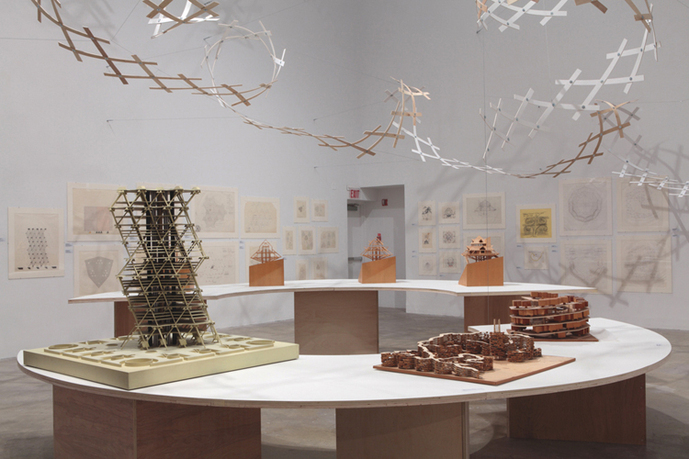 He has organized and cocurated over 30 exhibitions, including retrospectives on Louis I. Kahn, Robert LeRicolais, and most recently, on Antonin and Noemi Raymond. Trained as an architect, he received his undergraduate degree from the University of New Mexico and master's degree from the University of Pennsylvania, where he teaches as a visiting lecturer in the Historic Preservation and History of Art Departments. 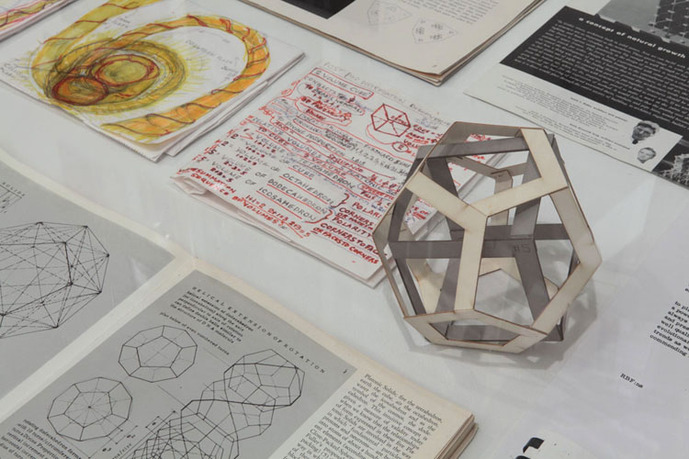 Founded in 1963, the Institute of Contemporary Art (ICA) at the University of Pennsylvania s a leader in the presentation and documentation of contemporary art. 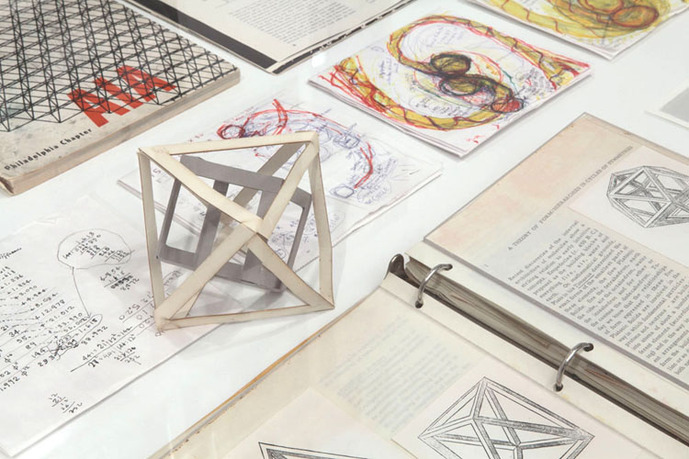 Through exhibitions, commissions, educational programs, and publications, ICA invites the public to share in the experience, interpretation, and understanding of the work of established and emerging artists. Copyright © 2008–2019 Graham Foundation. All rights reserved.